Steven Cohen, a well-known hedge fund manager, recently made an investment into Autonomous Partners, a new hedge fund that is focused on the acquisition of cryptocurrencies and equity in blockchain-related companies. According to Fortune, Autonomous was launched in December and is led by Arianna Simpson, a venture capitalist, and cryptocurrency proponent. The hedge fund has already secured capital in the “low eight digits” from investors like Coinbase CEO Brian Armstrong and prominent venture capital firms, like Union Square Ventures and Craft Ventures. It is currently unclear how much capital Cohen allocated to Autonomous, but it is certain that this move signals the investor’s interest in the cryptocurrency industry. The California-based fintech startup burst into the crypto scene in January, opening a feeless cryptocurrency application for the masses. However, upon the Robinhood Crypto release, users were quick to criticize the support of only Bitcoin and Litecoin, along with the fact that deposits and withdrawals were not supported. Secondly, Robinhood stated that they are still planning on adding support for coin transfers, potentially integrating a built-in wallet into the Robinhood Crypto application. Cryptocurrency experts have begun to acknowledge Robinhood’s growing presence, with some noting that Coinbase should be wary of what Robinhood can bring to the table. On June 13th, Coinbase unexpectedly released a statement regarding a potential for the addition of Stellar, Cardano, ZCash, 0x And Basic Attention Token. The American exchange announced that it is “exploring” options to add these assets to their ecosystem, but made no guarantee to support trading or full coverage in the future. The technical and regulatory constraints of adding new sub-asset classes, like ERC-20 tokens and independent blockchains, may prove to be difficult for the company’s wide array of products. But many are confident that Coinbase will add new crypto assets within the near future. The five cryptocurrencies singled out by the exchange immediately saw an uptick in volume, outperforming the majority of other top cryptocurrencies. 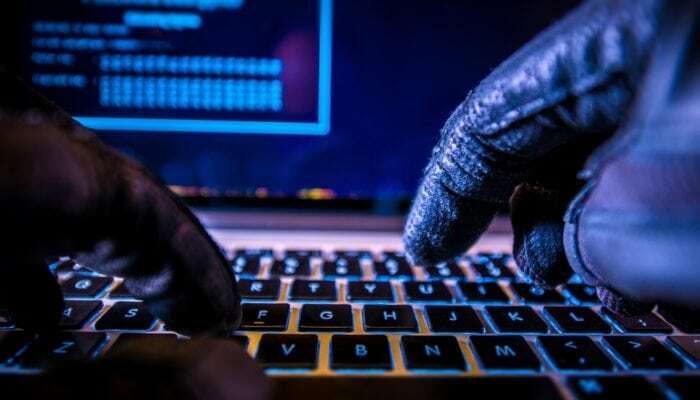 The decentralized Bancor exchange recently announced that its platform fell victim to a security breach on Monday, releasing a Tweet to make the public aware of the $24 million hack. According to details provided by the exchange, an unnamed hacker was able to infiltrate a wallet used to upgrade Bancor smart contracts. Using the compromised wallet, the attacker drained over 20,000 Ethereum, along with Bancor (BNT) and Pundi X tokens from a Bancor-owned wallet. The funds stolen amounted to approximately $24 million, but the firm behind the exchange stressed that no user wallets were affected by the attack. Bancor quickly utilized lines of “emergency” code in a smart contract that froze the stolen BNT tokens, mitigating damage made on the exchange’s ecosystem. Despite the quick thinking of the Bancor team, many began to criticize the ‘decentralized exchange’ for having the ability to freeze users funds in a centralized manner. Charlie Lee, the founder of Litecoin, also expressed his disapproval of the “false sense of decentralization” Bancor was portraying, as a true decentralized exchange should not be permitted to freeze user funds. The Bancor team implied that it only had the best intentions, but the lack of full decentralization on the platform continue to worry many. The cryptocurrency market saw a slight move downwards this week, seeing an average of 7% losses with a majority of cryptocurrencies. Many have begun to speculate that this move downwards was the direct result of Bitcoin’s failure to surpass the heavily contested $6800 resistance level. Over the past month, Bitcoin has failed to close its daily candle over $6800 three times, marking it out as a clear resistance level for the world’s largest cryptocurrency. Additionally, cryptocurrency analysts have attributed the less volatile and declining nature of the current market to a lack of liquidity in retail exchanges. Daily cryptocurrency volumes have begun to near yearly lows at approximately $10-11 billion, and are 10-20% down in comparison to last week’s volume figures. A close above the $6800 price level, coupled with an increase in trading volume, may indicate that Bitcoin is ready to continue upwards, with altcoins following closely behind. But for now, that doesn’t seem to be a likely scenario, as there are no catalysts to indicate that the cryptocurrency is ready to see an influx of interest.